I’ve been on the air for a “few” years and feel beyond blessed that I’ve been able to share life’s journey with so many. The calls that I’ve taken, and the stories shared with me by my listeners, number in the tens of thousands. The number of those who have placed the call, but have been unable to reach me over the phone lines are infinitely higher. I hear the refrain, “I’ve never been able to get through.” often when I’m out an about, and all I can usually say is that I’m sorry. Truly, sincerely, sorry. 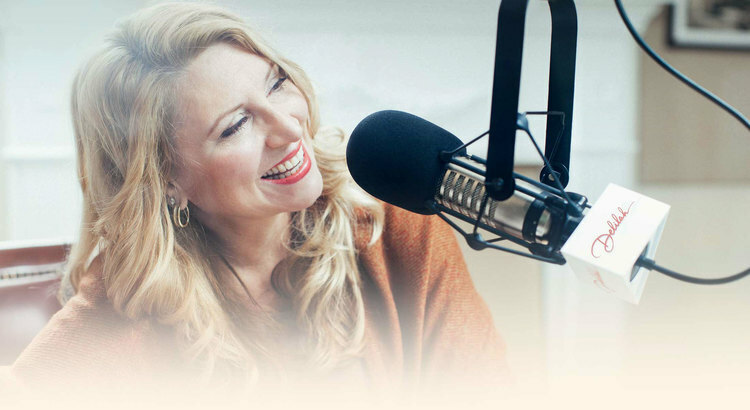 Because talking to my listeners is a joy and a blessing, it’s what motivates me to grab my cup of tea, my note pad, my headphones, and head into the studio each and every night. So when I received this private message over social media this weekend, it had a profound impact upon me. What a spin on the old, CAN’T GET THROUGH! The writer is correct, reading her note DID make me so happy. So happy for me, so happy for her, and so happy for all the others who can turn a lemon into lemonade, and later be grateful that silly little fruit fell from the tree and bonked them on the head in the first place. I have been listening to your show since I can remember! I used to travel A LOT and driving long distances I gained so much wisdom and truly enjoyed hearing peoples stories and your sound, honest and beautiful advice. I have tried to call so many times and for some reason I've never gotten through. I've tried calling when I was thinking about a career change. I've called when I was falling madly in love. I've called when I became a mother for the first time. I've called when I lost a loved one and was hurting badly. I've called when I was overwhelmed with gratitude for my many blessings. I've called to celebrate milestones and triumphs. I've called when I heard someone's story and related completely. I've called when I wanted to request my husbands and my wedding song because he is my very best friend and my soulmate. I've called when my oldest daughters adoption became final after 4 years of fighting for her to be ours officially. I've called when I discovered my calling to become a nurse. I've called when I graduated nursing school. I've called to celebrate finding a career that I love. I've called to celebrate the beautiful family my husband and I have built and the life I am so grateful to live. All these times I've called you and not gotten though have been blessings because when I didn't reach you I picked up the phone and called my husband, my mother, my grandmother, my sister, my friends and told them how I was feeling. I didn't keep it to myself, I shared it with a loved one who may have needed to hear something good or has helped me get through a struggle. Every time I didn’t get through to you I found another route to share my joy, love, pain, struggle, gratitude, sympathy, happiness. The older I get the more I understand what life is all about; and it's about connection. It's about sharing experience and spreading love. I'm so grateful for every time I didn’t reach you because it allowed me to connect with my loved ones more. I adore you Delilah and will always enjoy listening to you and your infinite wisdom, and every time I'm moved to share something with you I will share it with someone that I can reach that may need it just like all the people who have needed to talk to you. Everything happens for a reason and I just wanted to share this with you knowing that this will make you so happy. You are a blessing to the world Delilah and your light shines even further than you know. Today the sun is shining outside my window, and whether or not your weather is cooperating outside, I hope this shared note brings a ray of sun and a ray of hope into your world, just as it did mine. 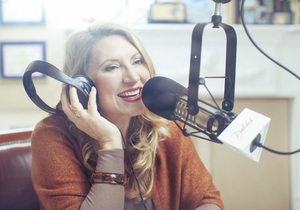 I say it time and again, and wish there were more words than the ones I use over and over to express my gratitude to you all, my loyal listeners, my radio family, my inspiration; Thank you for the joy you bring to my life!